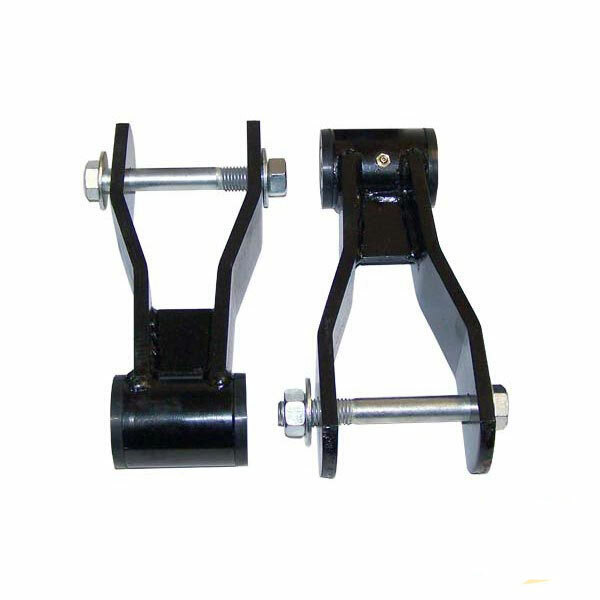 Jeep Cherokee XJ 1.5 inch Lift Heavy Duty HD Greasable Shackle Kit. Fits: Jeep Cherokee (1984-2001) with 1.5" Lift. Includes 2 shackles and leaf spring bolts. Improve the performance, durability and look of your suspension with RT Off-Road's Heavy Duty Shackle Kit. The shackle plates and reinforcement sleeves are finished in a rich black powder coat. Installation is as simple as removing the factory shackle assemblies and installing the supplied shackles. Heavy duty plate steel construction; Includes installation instructions.